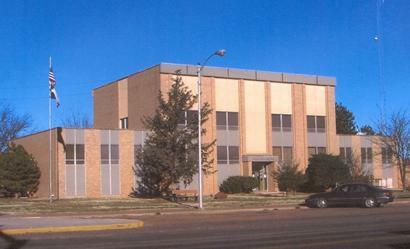 Morton, Texas, Cochran County Seat. Famous Cattle Baron Christopher C. Slaughter died in 1919 and in 1921 his heirs dissolved his cattle company. Slaughter's eldest daughter, Minnie Slaughter Veal, got herself an agent to sell her share of the property and this agent - named Morton Smith - founded the town of Morton. In 1923 the actual townsite was platted and Smith's land office was on the eastside of the square. In 1924, Morton (the town) became the county seat over a town called Ligon. The Slaughters had founded Ligon and were hoping that it would become county seat. Morton somehow was spared the fate of many Texas towns that shriveled and died after being bypassed by the railroad. Ranches continued to be sold as farmland throughout the 20s. According to the Handbook of Texas - a family named Winder was so large that it doubled the population of Morton. Mrs. Mary Winder served as Morton's first postmistress (1924 - 1943). In 1933 Morton was incorporated with Henry Cox as first mayor. Morton was also the hometown of Lt. Col. George Andrew Davis, Jr., a World War II Ace who was killed in the Korean War. 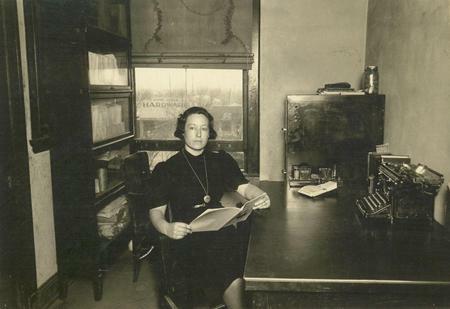 Genevea Meadows Essary, Cochran County Home Demonstration Agent, in her office in the courthouse at Morton.